If there’s one room in your home that’s going to draw a lot of attention, it’s definitely your kitchen. However, if there’s one room in your home that’s definitely going to keep attention, it’s your bathroom. A lot of people won’t openly comment on the bathrooms in your home, but that doesn’t mean that they’re not thinking about it. Some people look at other people’s bathroom suites as a way to get inspired about their own, while some just want to see who has the better space. No matter what, you need to really make sure that your bathroom is a destination that you really want to be at — after all, you’re going to be using that facility often through the day. Why not make it as pleasant as you can? 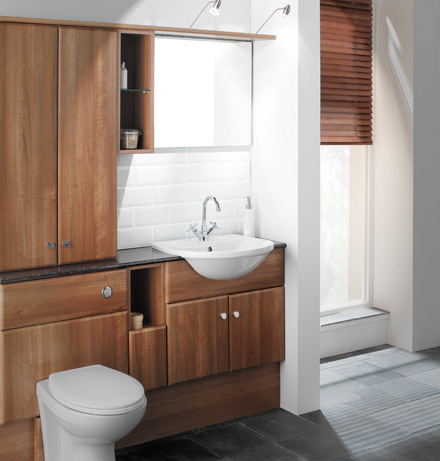 So, how do we go about turning your bathroom into an amazing space? Well, it really all starts with the type of furniture that you’re going to use. it’s tempting to just sit back and not think about all of the different things that you want to achieve with your bathroom, but what would be the fun in that? Create a plan that works for your needs and don’t be afraid to pick up some bathroom and remodeling guides for inspiration. These are all great sources that can lead to better ideas for your bathroom. Don’t forget the power of bathroom furniture. You might think that a well placed chair might not be necessary, but it can add a lot to the power of the room. In addition, don’t ignore the need for storage space. That can be part of the furniture collection, and who says that you only have to think about the functional side of a bathroom. The whole point here is that a bathroom should be like the rest of your home. It should exude a lot of style and character, because you’re filled with style and character. A home represents its owner, so you always want to make sure that your bathrooms are representing you well. Some people are going to be leery about investing a lot of money into their bathrooms because they’re worried that it’ll take away from the value of their home. However, this couldn’t be farther from the case. If anything, adding to a bathroom is going to raise your home’s value significantly. You might have to play with the numbers to make it all fit into your budget, but it’s definitely worth it in the long run when you have a space that you’ll love to visit!